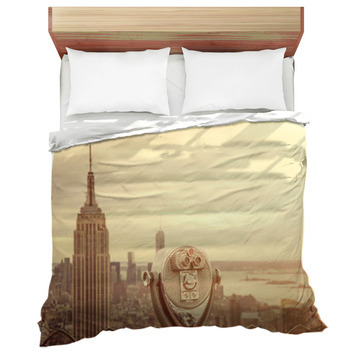 Sleep soundly under New York bedding as nothing quite compares to the grandeur and immense beauty of the city that never sleeps. 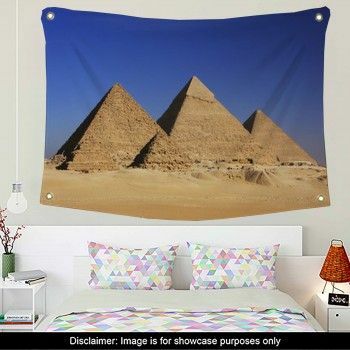 Our unique bedding brings the finest views and sights of this incredibly unique metropolis into your home without having to get a taxi and deal with all the traffic. New York City is a melting pot of cultures, ideas and style, making it world class in every aspect. 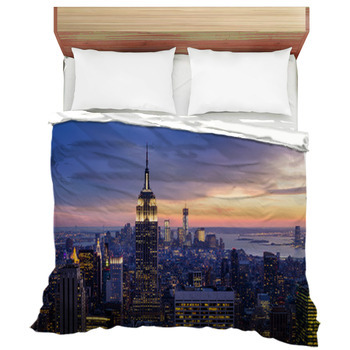 Bring the grandeur home with a personalized comforter or duvet cover to whisk yourself away to the luxury of Sixth Avenue or the bright lights and excitement of Broadway. 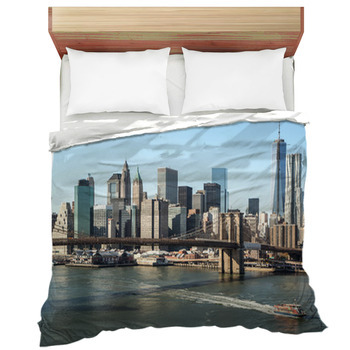 If you're a tried and true New Yorker, or just looking to pay the city a visit, be reminded of why you love New York with our customizable bedding designs. 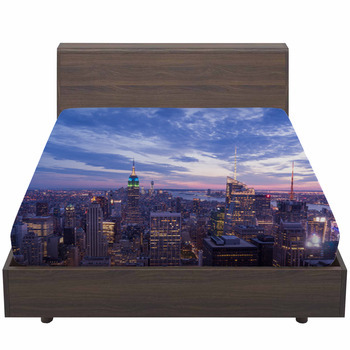 Everything can be found in the city that never sleeps and we have compiled all the best images of this great city for your unique home decor. 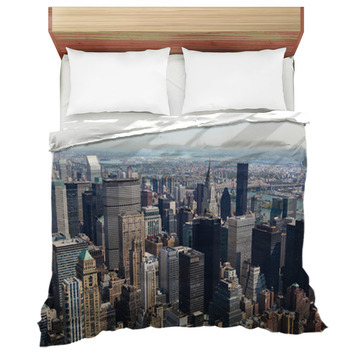 With New York bedding you can bring home all that embodies this great American city on your own custom bedding. 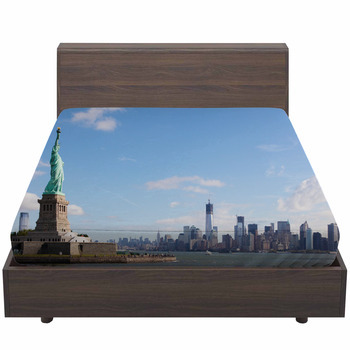 Few things embody the American way of life like the unmistakable Statue of Liberty standing tall and emerald on a warm summer day making them the perfect fit for a unique set of pillow cases. 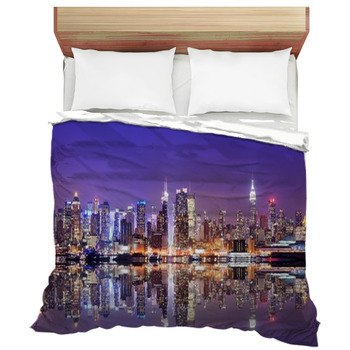 Catch the ferry back to Manhattan and hang out in the sea of lights that is Times Square, on your own unique bed sheets, and watch the sunset fade behind towering skyscrapers unlike anywhere in the world, right on your very own comforter or duvet cover. Their shimmering windows light up and look like the stars in the sky. 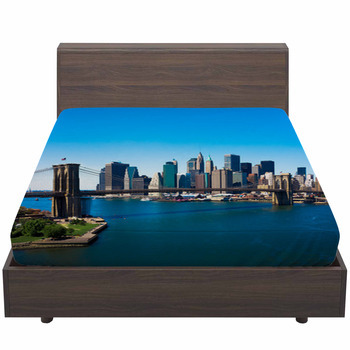 Take a bright yellow taxi over the Manhattan Bridge, Queensboro Bridge or head into the red bricks of Brooklyn on the antique Brooklyn Bridge. The excitement you can feel on the streets soon finds its way into your blood as you see the glorious Empire State Building shining in the midday sun. 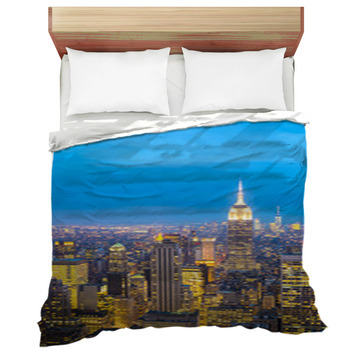 Never miss your home city again with our custom New York bed sheets, comforters and duvet covers. 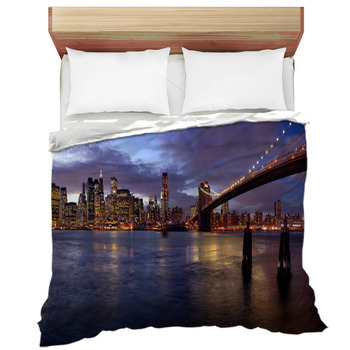 Match them with our complimenting New York wall murals or wall art, and New York pillows to make your room look like a Gotham paradise. 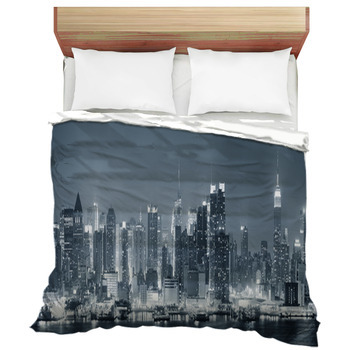 Teenagers love the feel of a big city and will love to curl up on our New York futon covers with fun and exciting artwork of the Big Apple. What are you waiting for? 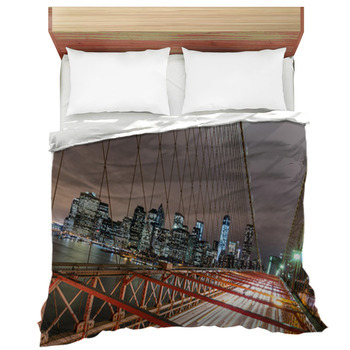 Grab a bagel and jump on the subway towards awesome interior design style.